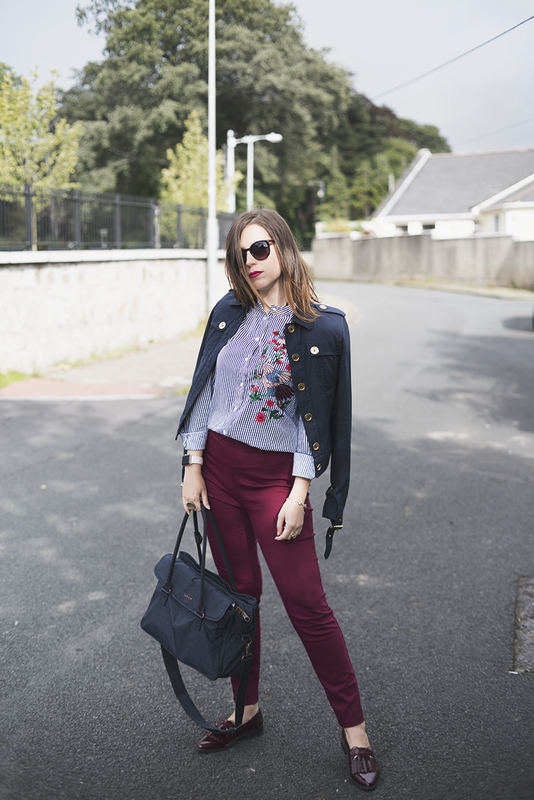 Back to school (or work!) with Kipling Superwork Once Upon a Time..
September is the most hated month of the year. People returns to school, returns to work, someone has the September exam session. You grow, you change, but you don’t stop hating September. Thousands of good intentions, now I will go to the gym, will eat healthy, this year I will study more, at work I will give the most… As if from September onward, things could really change. You know? It does not change a damn. On the other hand, September is really a kind of “new start”, in short, everybody end their holidays and start with the usual routine, and a bit of depression is always coming. In my opinion, however, you just have to take everything with the right charge and the start will not be so traumatic! 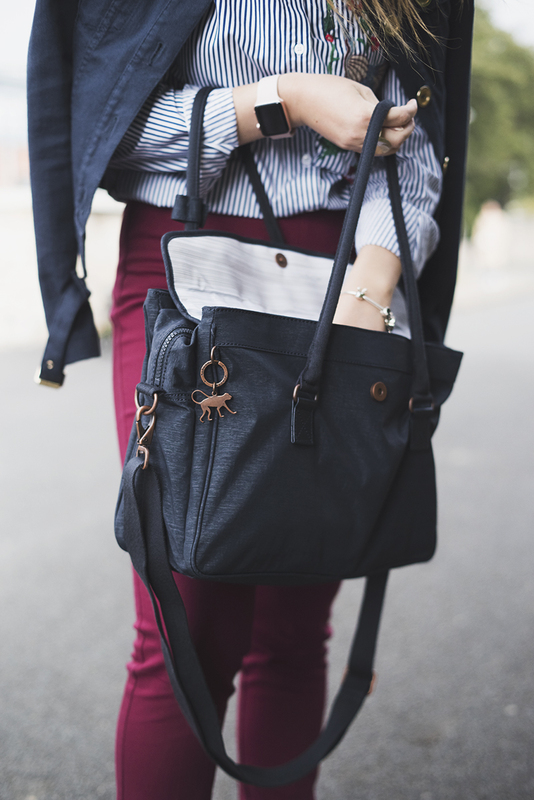 For example, I welcomed the autumn season with a new bag. 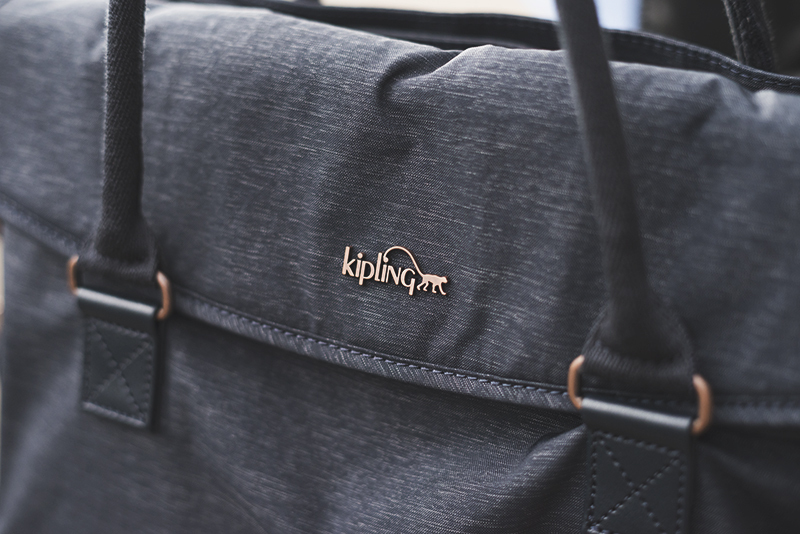 It’s the Kipling Superwork S, a waterproof bag with a pc compartment and one for the tablet, plus a million more pockets to put everything, so you can no longer complain about losing things in the bag. Everything is perfectly organized: headphones, portable mouse, PC, wallet and documents, keys attached to the comfortable lace and everything else in the remaining pockets. The wide sleeves allow you to carry your bag both on your shoulder and on your elbow (in the sense that you can hold it with your arm bent mid-air like a rich posh woman) and the adjustable shoulder strap allows you to hold it cross-body. The size S (mine) has space to hold the 13″ size pc, while the classic (large, let’s say) can bring up to 15″ size pc. I paired it in a working look, comfy but somewhat sober, one of the looks I often wear to actually go to work. But it’s good to go to university as well, and with sneakers also can be worn at school . What do you think? Do you like the look? You can see all the variations of the color and size of the bag HERE. Good back to work/school/university at everyone! Shop Blue Jumpsuits, Black Heel Sandals, Blue Platform Shoes, White Lace Cocktail Dresses and more. Get this widget.